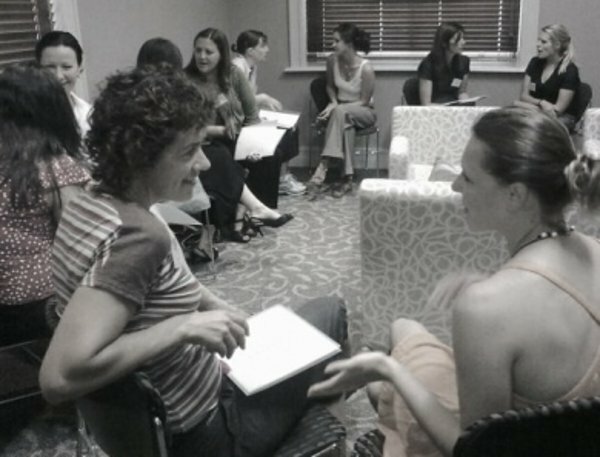 Parents - speed date for a nanny with Meet A Sitter! Parents – speed date for a nanny with Meet A Sitter! Speed date to find a sitter? Read on to find out more about this time-saving treasure for parents. Finding a nanny or sitter that you trust is a lot like trying to find a life partner. They must have the same ideals and morals, be trustworthy, willing to have fun and above all treasure all that you hold dear. So the idea of “speed dating” to find a carer for your children isn’t so far fetched. In fact it’s a fully fledged and roaring business – which has just expanded its fantastic service. Meet A Sitter is a boutique service which cuts out the middleman and allows you to find a suitable, quality nanny or sitter for your children, in record time. Meet A Sitter has been around since 2009, helping to connect parents with carers for their children. The service is based around hour-long events, where parents get to meet and interview candidates in a bid to find one that suit the needs of their family. Great idea, right?! Clients get to take home a resume portfolio of all the candidates they’ve met, and discuss them at home. The service works both ways, with nannies and sitters getting the chance to meet potential families they may work for in a safe environment. Meet A Sitter holds regular events in Sydney, and has also just expanded to Melbourne. Annual membership costs $155, which allows you to attend any three events in twelve months, or single events cost $70 each. There is also a Skype option if you can’t make it to an event, for a flat fee of $90. And here’s the clever new service available through Meet A Sitter – it’s called the Emergency Service. You provide Meet A Sitter with your requirements and they will send you either one or two matching candidate resumes so you can directly contact the sitter or nanny. The candidates will have already been pre-screened for a minimum number of years working with children, had a behavioural interview with professional HR recruiters (who are also parents) and had their relevant documents sighted, including their police check. It’s then up to you to negotiate The cost is $70 for one resume or $90 for two.